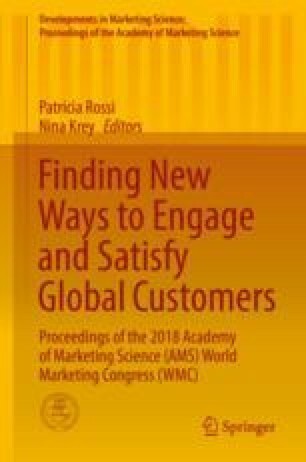 In recent decades, international and export marketing scholars have become more oriented toward theoretically driven perspectives to throw light on the pivotal factors acting a role in superior export performance (Lages et al. 2009). Herein, the resource-based view (RBV) has been recognized as one of the leading theoretical paradigms in export performance research, which has drawn substantial interest (Chen et al. 2016). Nevertheless, in spite of the good fit between exporting and the RBV, the RBV does not deal with the contextual factors, implying a weakness of the theory (Priem and Butler 2001). It has been strongly advocated that the context significantly affects the manner firms obtain and utilize their resources (Meyer and Peng 2005), and accordingly, ownership of strategic resources in a context does not guarantee their value in another context (Oliver 1997). At this point, the institutional theory complements the RBV by touching on context-specific issues (Peng et al. 2009). By reason of the enormous influence of institutions on firms’ resource decisions, the integration of the institutional theory with the RBV has been overwhelmingly suggested (Barney et al. 2001; Oliver 1997). However, notwithstanding this suggestion, the interaction of institutional factors with firm resources and capabilities to comprehend the export performance phenomenon has been relatively mildly investigated. To address this gap, drawing mainly on the institutional theory- and resource-based view, the main objective of this study is to unveil the role of institutional- and resource-based factors in impacting export performance. On the basis of a sample of 221 exporting firms operating in an emerging country, Turkey, the conceptual model was tested through PLS path modeling. The empirical evidence suggests that the regulatory environment of home country contributes to the improvement of production and R&D resources, knowledge-based resources, and managerial resources. Additionally, concerning the relationship between firm resources and export market orientation, production and R&D resources, knowledge-based resources, and managerial resources all give rise to the enhancement of export market orientation. The results also reveal that both production and R&D resources and export market orientation are conducive to superior export performance. The findings of this study offer considerable implications for theory, practice, and public policy makers, which are expected to add value to the existing knowledge on export performance.